Why Use? 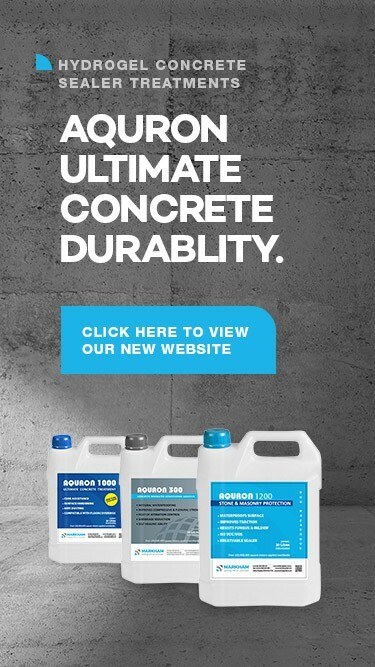 INTERNATIONAL research has proven the SIMPLE LOGIC that stopping moisture migration within concrete, results in halting all common corrosion processes, such as Chlorides Ingress, ASR, AAR, DEF, and Carbonation. AQURON 7000 corrosion inhibitor is spray applied to either new or existing concrete structures, providing internal corrosion protection with proven performance for over 25 years. Economical and excellent performance on concretes washed by seawater and coastal spray, or that have been attacked by salts, acids, effluents, corrosive gases, etc. Contaminants are neutralised or purged from concrete which is protected from further attack. Inhibits corrosion of imbedded reinforcing steel.